‘Weekend Ka Vaar’ on Colors TV's Bigg Boss 10 opens with a shocker, with a visibly upset host Salman Khan deciding to throw out a contestant from the Bigg Boss House with immediate effect. No nominations or public vote was needed for this one. After what transpired last week during a task, the host appeared to be in no mood to condone Priyanka Jagga and Swami Om’s atrocious behaviour. Without even greeting the contestants, Salman asks Manveer to get a cloth from the store room and gag Om to prevent another round of verbal diarrhea from the self proclaimed godman. Salman expresses his displeasure and reprimands the contestants for turning the house into a war zone during the ‘BB Hostel task’. He says that the contestants were given a simple, fun and entertaining task to perform but it ironically brought the entire house down because of few people’s nasty behaviour, indicating Priyanka and Om, who verbally attacked the housemates and broke Bigg Boss property. “I am shocked. I don’t know how to react. This kind of frustration, aggression, violence...is this entertainment? I’m hating being the host of the show. 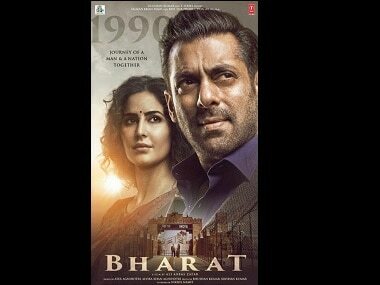 It’s all because of some people who have no class, and I don’t blame the viewers who stopped watching the show or who switched channels,” said Salman. Appreciating Manu’s efforts for maintaining some peace and harmony inside the house, Salman gives him the title of ‘Man of the Week’. He says that after having suffered an emotional upheaval following his mother’s demise, Manu rightfully handled every situation and held the house together. 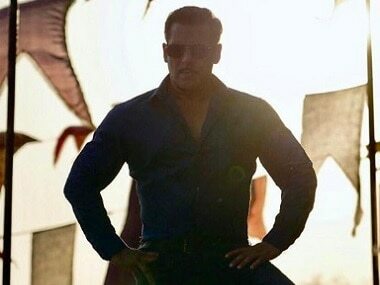 “Manu got a partner like Om for the Hostel task who is not trustworthy but Manu carried on with the task gracefully without losing his cool,” Salman said. On a lighter note, he spoke to Manveer about his father’s visit. “Yes, my dad became a star overnight,” laughed Manveer. When Salman asked Bani that she didn’t let any contestant meet her best friend Gauahar (Khan, season 7 winner), who came by to meet her. Bani replied that she had missed Gauahar, didn’t want to leave her even for a second. Talking about Om’s behaviour, when he insists that he had behaved well this week, and that others were spared for their mistakes, Salman reminds him about getting violent and breaking the toilet door during the Hostel task. “I have been trying to make him understand since 10 weeks, I also gave him lot of importance, everybody has helped him a lot on the show, taken care of him but he doesn’t understand and it looks like he needs a psychiatrist to treat him,” says Salman. Moving on to the selection of the ‘Khalnayak’ for the week, Salman states that he has already pre-empted the answer but wants to hear it from everyone. One after the other, the housemates take Priyanka’s name and she is asked to sit on the ‘Khanayak Kursi’. Without mincing words, Salman gives Priyanka a scolding for her misconduct in the house and demands an explanation for it. But Priyanka retorts in an ill-tempered way, which prompts Salman to tell her to keep her temper in check. Further, Priyanka rants about how the contestants ill-treated her when she was unwell and that’s what triggered her anger. Salman responds by saying that what she did was completely unacceptable and by maligning people’s character inside the house, she has maligned the entire show. Just then, Priyanka loses her temper and starts wailing. She also says that she never wanted to be part of the show but she was called again. “Why was I brought back on the show? To humiliate me? Before going to the secret room, I had told them that I didn’t want to continue. But I have made a mistake, I’m trapped now,” says Priyanka. 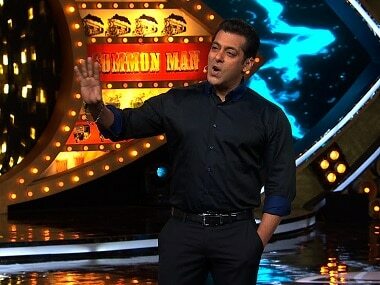 Salman counters her questioning, that why did she go to the secret room after her second nomination, and that she had a choice of leaving the show. Paying no heed to her drama, Salman tells that he loathes her actions and asks her to leave the Bigg Boss house with immediate effect but before that he shows certain clips where Priyanka is seen making insensitive and hurtful remarks about Manu and his deceased mother. She is also heard abusing Lopa and Mona. Lopa breaks down again and Manu and Rohan console her. The housemates are unable to contain their happiness with Salman’s decision and they give him a standing ovation and salute his decision. Everybody is seen in a celebratory mood, they are seen rejoicing and hugging each other. Salman further announces, “If Priyanka ever comes on this show or any other show on Colors, I will never work with the channel again.” And with that, one of the most controversial contestants on Bigg Boss 10 was booted out. Priyanka packs her bag to leave when Om, who is seen taking her luggage out, tells her to apologise to Bigg Boss but she refuses point-blank. Later, Om tells Bigg Bossthat if they want him to leave the house, he will do so, but he didn’t want to be humiliated by getting gagged on the show. After an intense few days, looks like the housemates will be treated to loads of entertainment on Sunday night with Sonakshi Sinha and anchor-host-actor Manish Paul, who will enter the house to celebrate Christmas. And we will also find out whether Salman will announce any names for eviction out of the nominated contestants – Bani, Gaurav and Mona. Probably not.